White Fragility is a concept unpacked by Dr. Robin DiAngelo, to explain the knee-jerk visceral reactions of White people when issues of race & racism are being discussed. You’ve noticed that right? You’ve experienced it? Christians like to claim to be one…they like to claim that their faith in Christ reconciles them. 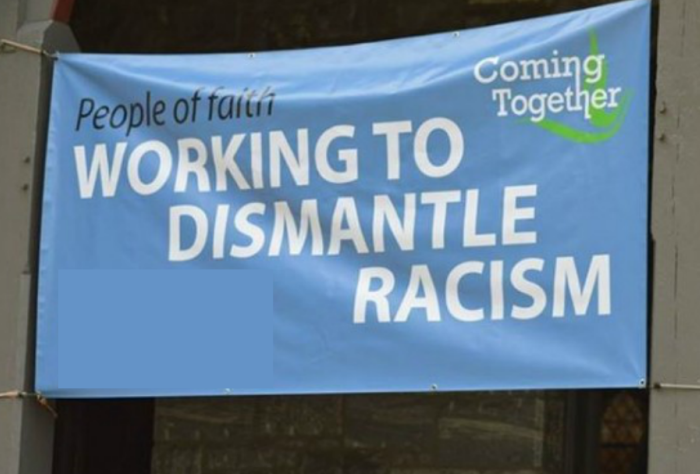 But, when confronted with the topic of racism they respond in ways that break communion rather than strengthen it. How do we overcome that? In this episode of Racial Heresy, Robin DiAngelo joins us to discuss how White Fragility impacts the Church and what we can do to overcome those issues so that racial reconciliation can be real. What do you think? How do you respond? We want you to engage with us and with others around the issue of racial reconciliation. We want to invite you to a deeper level of engagement. If you want to make racial reconciliation a part of your spiritual practice, then we would love to have you as a member of our group! Apply for Membership Today!